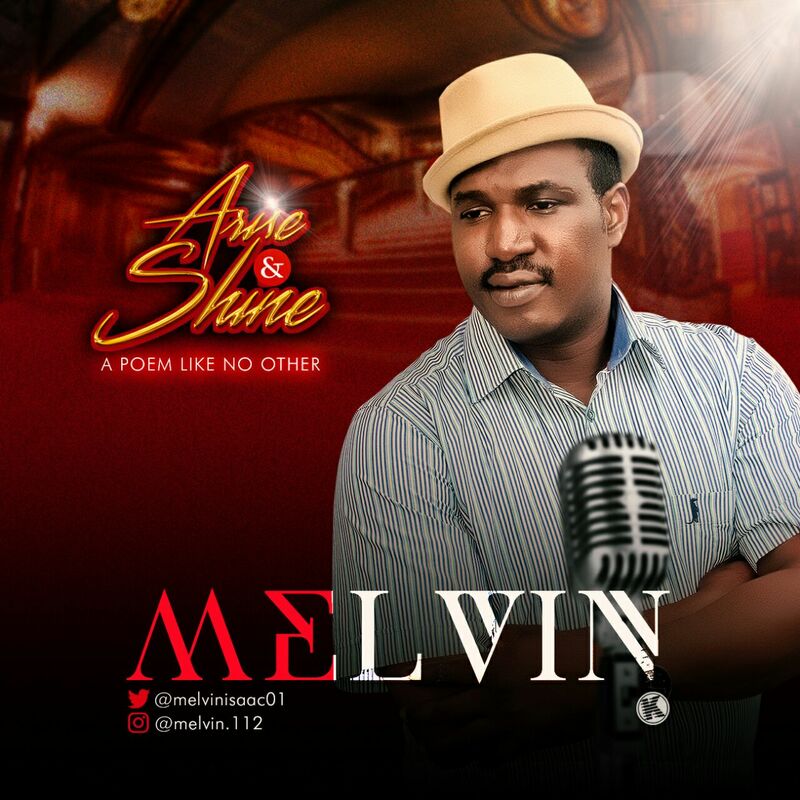 Melvin Babatunde Isaac, simply known as MELVIN has been a choir personality for over 17 years. He is a known unique choir conductor in Christ Embassy Aka Believers Love world Incorporated. He has mentored and inspired several youths and groups towards service to God. He is a Prolific Orator, Motivational Speaker and a Gospel Poet. His unique musical spoken word ministry makes him stand out from other spoken word artist. The Single Arise and Shine was inspired by the Holy Spirit. Looking at all that is happening in the world around us, especially in the economies of the world where many are experiencing hardship. For the children of God, our story should be different because we are not of this world. We play by a different set of rules. For us, we shine the brightest when the world around us is darkest. We are not subject to the dictates of government and economies of this world. Christians all around the world must understand that they not ordinary men. We are “GOD MEN” and we should live as such.